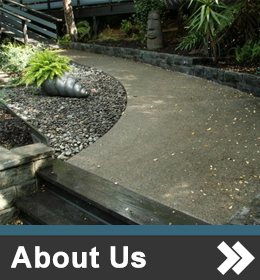 Send Us A Quick Email Or Call Us Today For Your Next Concrete Driveway, Concrete Patio Or Concrete Foot Path Project. 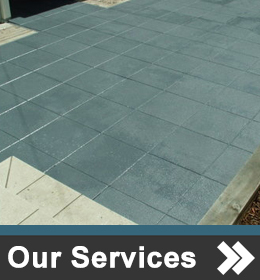 We are an experienced concrete contractor team based in Auckland who can sort out all of your concrete needs. Concrete driveways to small concrete slabs. We have the experience in concrete to offer stamp concrete, colour concrete. This sort of concrete can be complimented into your concrete needs. Colours can be made to your render. If your concrete colour has failed we can bring the concrete colour back to life with our colour reviver, this also applies to our concrete sealer reviver. Offend is the case when another small coat of concrete sealer and concrete reviver will work well. We have concrete colour charts and concrete stamp patterns available to help you when planning your project. We have a new concrete sealer that is very popular – it comes in a matt or a high grade finish. If you have any questions, comments or suggestions, or if you would like to find out more about what we offer please do not hesitate to contact us. Concrete Sealing, three different sealers to chose from. Concrete Laying, any job we can price for you. Decorative Concrete, stamps or colour, we can supply most concrete to you. 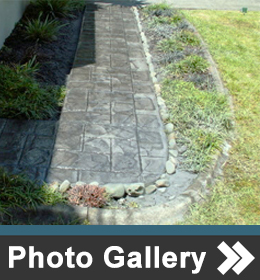 Concrete Driveways we can show you many different ideas. Pebble, 20 different concrete mixers from four different ready mix companies. Concrete cutting we can do for most of our own jobs. Exposed concrete, if pebble or stone we know what to do. 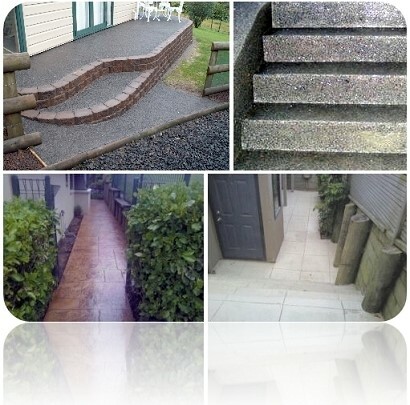 Concrete foot paths colour , standard or stamped concrete. Copyright Concrete Direct Services Ltd © 2019. All Rights Reserved.